Did you know this song was inspired by a poem written by Mother Teresa titled Anyway? Enjoy...and may you find inspiration for your journey! When thinking about what to share with you today, I remembered that I haven't really posted much about my kitchen re-do. This was completed close to two years ago, and while trying to find my pictures of the "before", well...let's just say by the time I located them...it would be another month between posts. 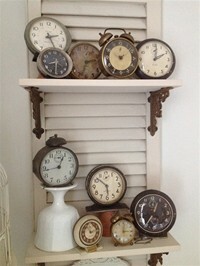 My home is a 115 year old colonial...so as you can imagine...it was ready for a remodel! This was no easy remodel. The doorway into the hallway had to be widened to accommodate the fridge. We closed off a doorway where you see the stove now to make more counter space. Took out a mudroom to open up the kitchen and add closet space. Before the redo, my kitchen had FIVE doorways leading out of it...which made for a very awkward kitchen. Next I wanted to show you a sweet find this summer at a local boy scout troop sale. 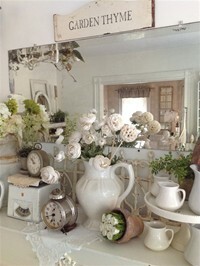 This mirror was gold in color and I just knew it would look lovely refashioned in a coat of white. 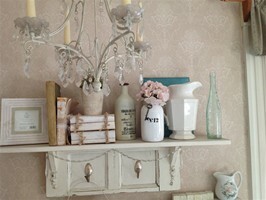 I painted it in Annie Sloan's Chalk Paint in Old white, and then distressed it around the edges. She stands over four feet tall! Now I just need to find a place for her where she can "reflect" and shine! Not bad for a mere $7.00, wouldn't you say? I also scored some fantastic old books and this lovely print, which DID make their way into the shop. 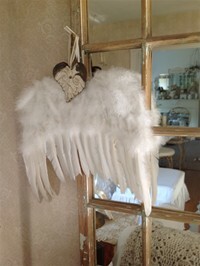 Along with this luscious lace, which currently graces my hand embellished gift bags! Guess what arrived in the mail yesterday? 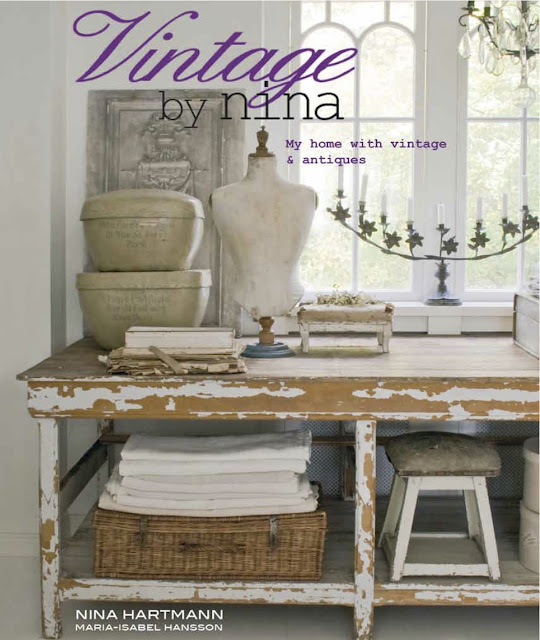 You would be right if you guessed "Vintage by Nina"! 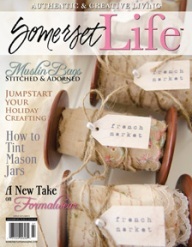 I won this in the giveaway at the beautiful "Burlap Luxe" Blog! A million thank you's Dore! and every shade of white and cream in the universe! Oooh...I'm a happy girl! Then I came home from work today to find a special delivery from a precious friend! "Tears are sometimes words the heart cannot say". Thank you Erin! I love you. 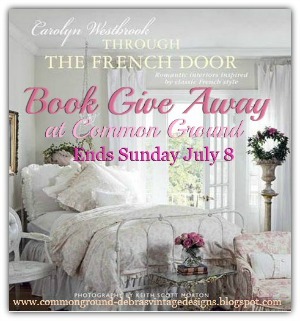 And last but certainly not least, I popped over to Common Ground Blog this evening to see who the winners were in Debra's giveaway for the much anticipated new Carolyn Westbrook book "Through the French Doors". Imagine my sheer delight to find that I was one of the lucky blessed winners! The last Sunday of June I had the pleasure of "pickin" with two of the loveliest souls you'll ever want to meet. None other than Susan from "Evelyn and Rose" and Michelle from "Petite Michelle Louise". 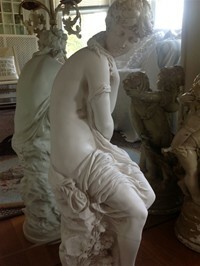 This was one of my favorite finds at Todds Farm. 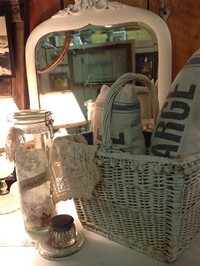 Chippy and Shabby in all the right places. I used a magic eraser when I got home to clean off the coat of dirt she was hidden under...and just look at her now!! I scored this print at Todd's Farm also...very Jeanne D'Arc in style! But this is what totally sold me on the clutch...look at the inside!!! sigh! On Michelle and Susan's first visit to the White Elephant, they thought it would be fitting to hold old rakes and pitchforks for the camera since after all...they were "pickin". We thought it would be good fun to keep up the "tradition". Michelle and Susan ~ aren't they adorable? Here they are looking over some "possibilities"
Unearthing discarded treasures is such a thrill! And so much more fun with like minded friends!! 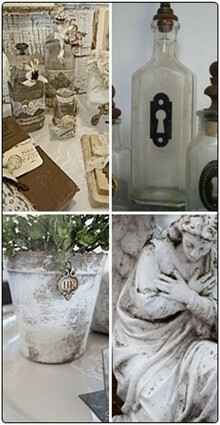 I was so amazed by Michelle's uncanny ability to have a "vision" for every piece we picked up. And right away...she doesn't miss a beat! I came home inspired by her creativity for sure! And I was lucky enough to find yet another Jeanne D'Arc style print.... woo hoo! 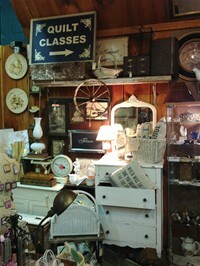 But this was at our third stop.... Pettingill Farm's Vintage Bazaar. They hold a show twice a year, and we just happened to hit it that day. 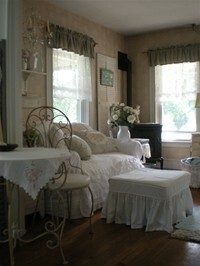 You'll have to stop by Michelle's blog to see pics soon of Pettingill Farm. I was too busy with my jaw on the ground...and running from vendor to vendor to take my camera back out. And if all that excitement wasn't enough, I was humbled to be gifted with this sweet bathing beauties candle created by Michelle. Thank you dear friend... I love it! And are you ready for this?? 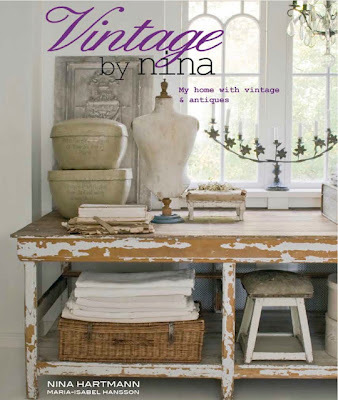 ... the very next day after this incredible excursion, I found that I won the Vintage by Nina giveaway at Burlap Luxe. 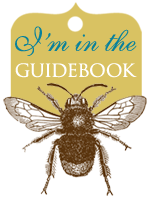 An autographed copy is on it's way to me as I write this. I'm so thrilled! Thank you Dore! I know this has been a long post...but I couldn't help it!! Just had so many blessings to share. I hope to show you soon where all the treasures land... (and also the ones that I haven't shared here yet) Be sure to check out Susan and Michelle's blog to see all their sweet treasures too. Every day has the potential to be the best day of your life! 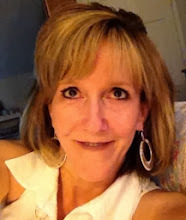 Welcome to my blog ~ I'm a Christian who loves life, my family, friends, and of course the Lord Jesus Christ. I have three handsome sons and six gorgeous grandchildren. In my free time, I'm passionate about decorating, crafting, and refurbishing which leads me to the "thrill of the hunt" at fleamarkets, auctions, and tag sales. 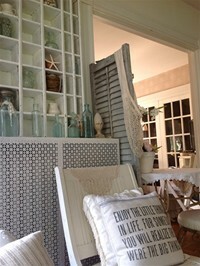 I love a mix of shabby chic, french, and cottage style with an emphasis on worn, faded, and chippy. 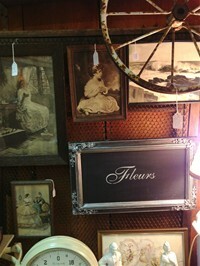 I rent space in a local shop to sell some of the treasures that can't possibly fit in my home. 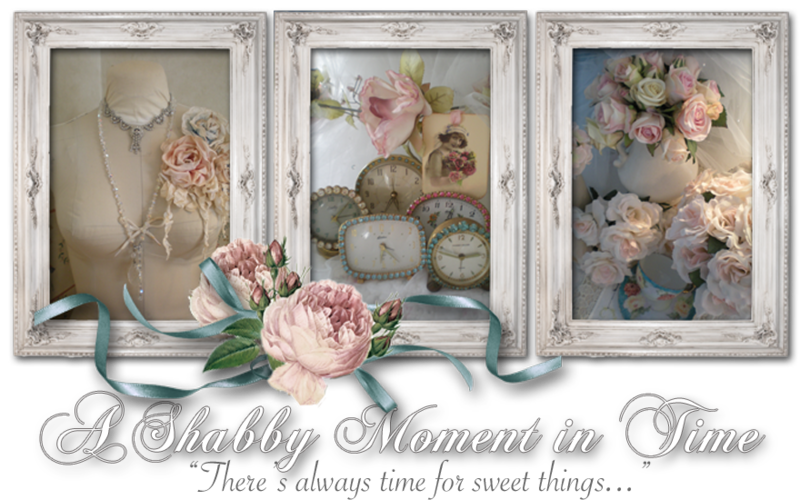 I'm so glad you stopped by...let's share a "shabby moment in time" together! He's a Momma's Boy! I LOVE him! A little peek before the "SHOW"
Chalk painted pots for the "WHITE EVENT"